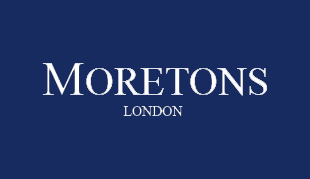 A day in the life of a Moretons negotiator...........Winner! I park up nearby the office at some under used underground concrete jungle, after shimmying through the capitals rush hour traffic avoiding all the tackles in my way. Strolling into the office, the clean lines of the laminate lead me to my gleaming glass desk, my large chair calling out to be warmed and occupied which I dully do. After fighting with space and technology the screen usually flickers on followed soon after by a flow offers for all sorts through the spam filter, and .........the enquiries .... the applicants and occasionally ...... a valuation. Once browsing through all Microsoft Outlook has to offer my day proceeds normally at a canter. I call some enthusiastic potential purchasers and vendors, conveyancing with solicitors who are often very difficult to reach. I pop up to the surface to take air before diving again into the daily flow of activities, looking at marketing laterally, looking at our methodology and psychology, generating instructions which leads to leads. All shapes and sizes and forms and types resulting in that hard earned rush and thrill of gluing a move. There is a warm comforting human feeling to securing a move, the vendors and purchasers are usually thrilled, in itself rewarding. Most humans are decent and if you are a people person then the career is suited. Seeing wonderful architect, historic London, the most exquisite interior designs to some grottos less fit for Elf's let alone Santa; which helps take away the predictability from the profession and keep us on our toes like a nimble ballerina along with drive, ambition, pride and self motivation all characteristics fuelling plenty of moves in a year that did not want to move. As another filled day draws in to its close like the dark of night, I part the office knowing that day will never be repeated so surveying that I did not waste it, my head flitting with ideas, I flee with Parliament, Big Ben and London Eye waving in my rear view mirror.